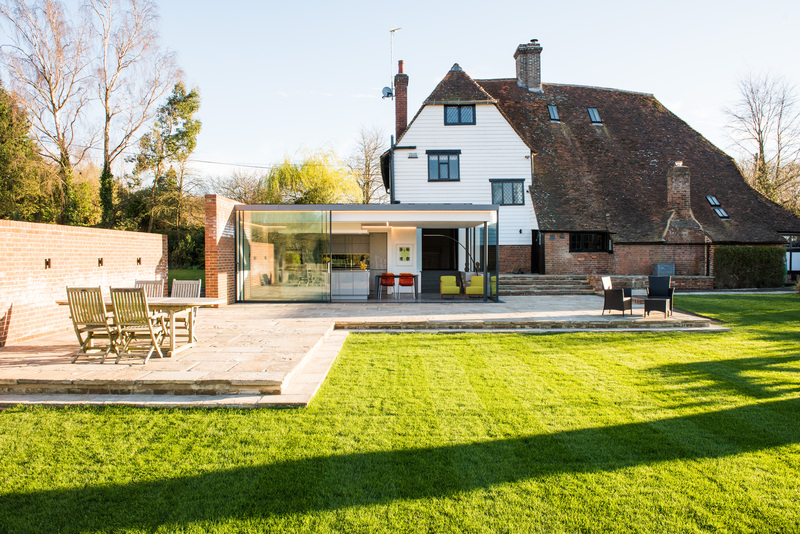 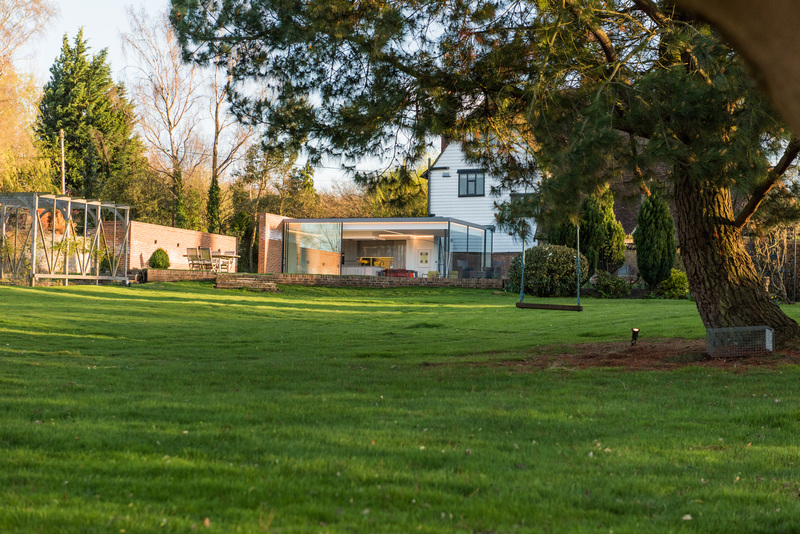 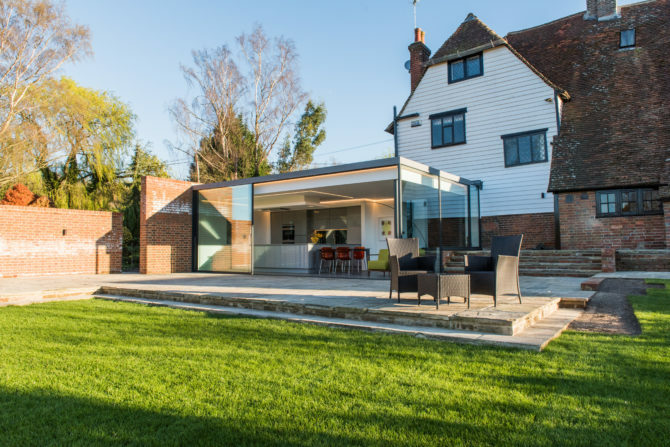 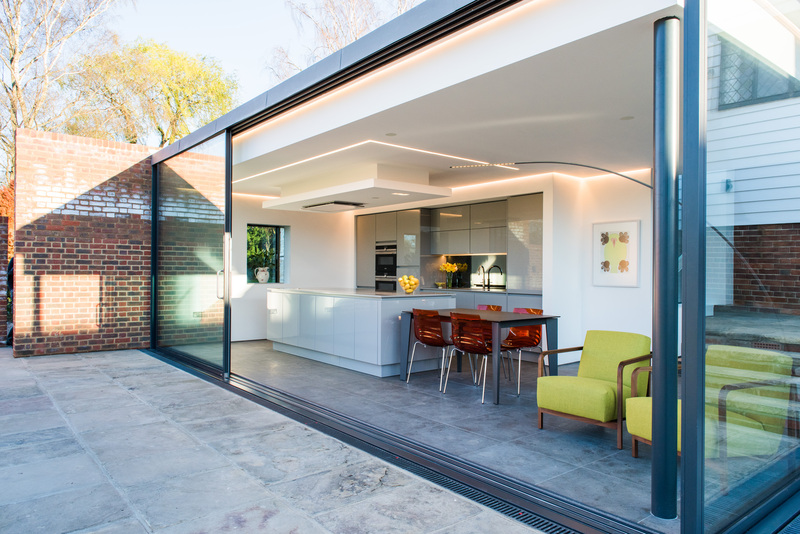 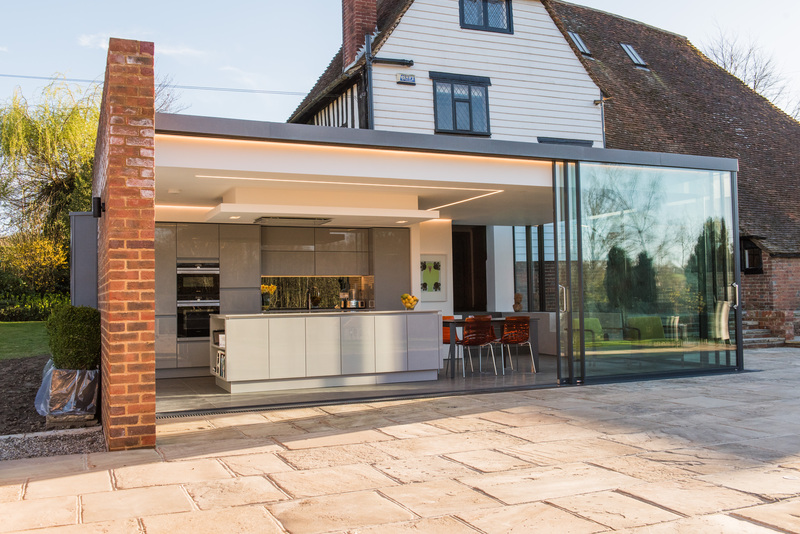 We carried out works to a grade II listed house to form a new modern glass kitchen single extension, with a fully glazed link from the main house. 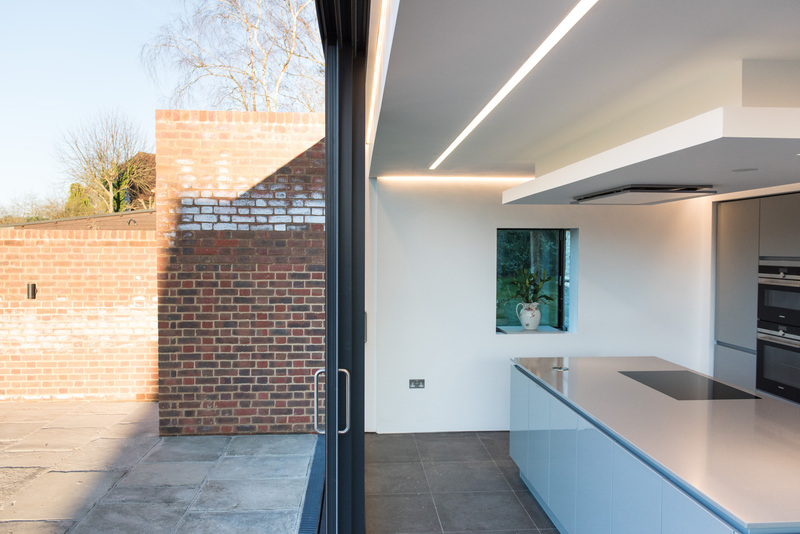 This build included a number of one off bespoke elements throughout the project. 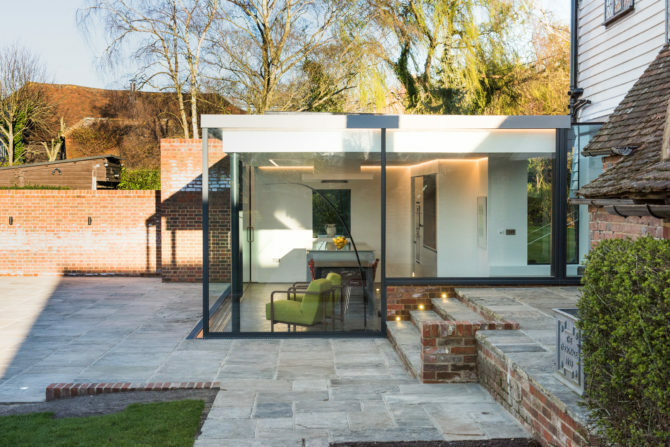 The architectural concept was to create an extension to the property as a continuation of the traditional solid, enclosing garden wall from the front and side elevations, contrasted by a lightweight glazed façade facing the rear garden. 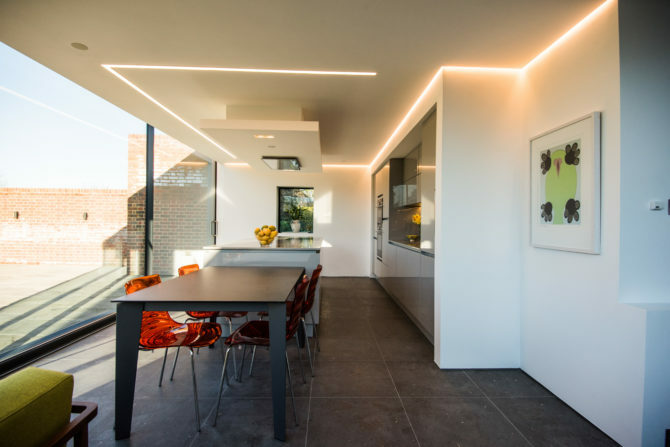 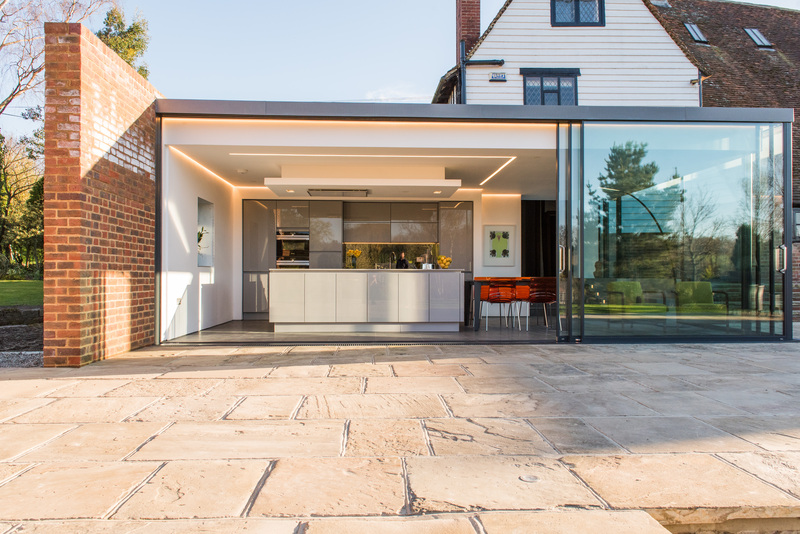 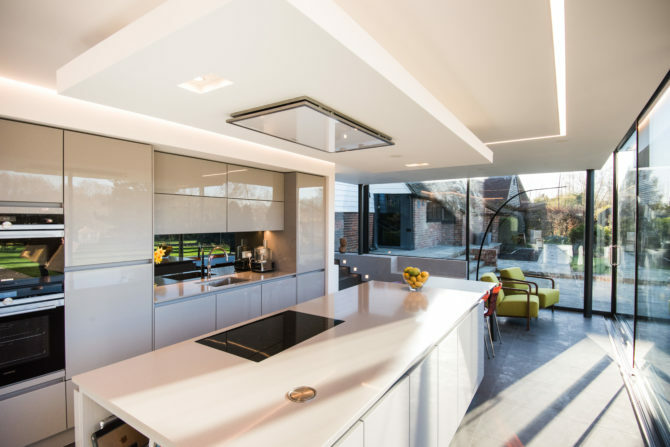 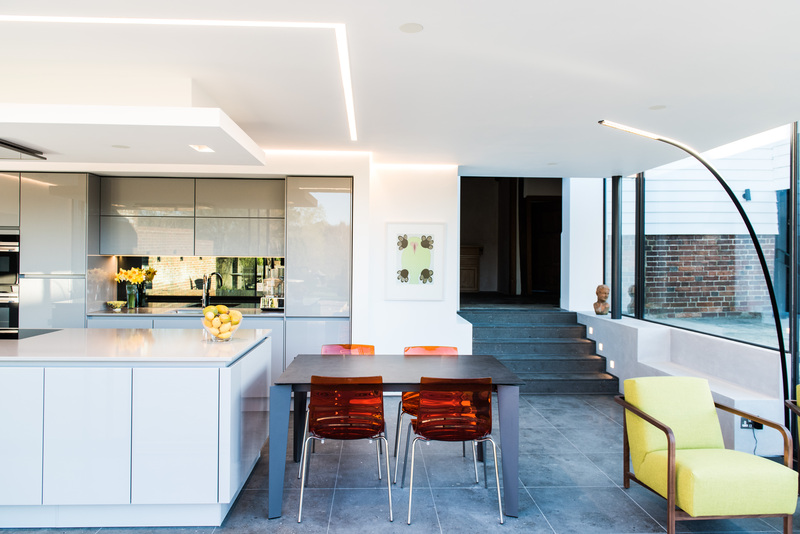 The new extension provides a bespoke open-plan kitchen which allows an area of the existing house to return to its original state. 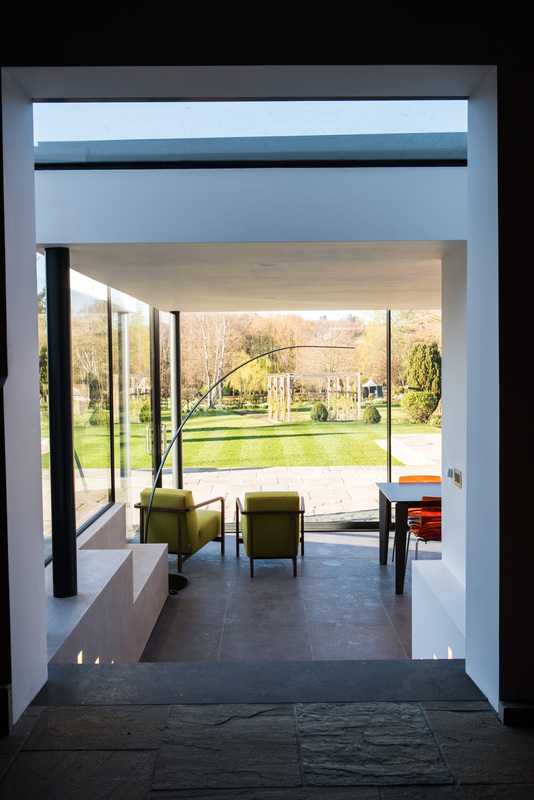 A dining space opens out onto the new terrace and garden beyond. 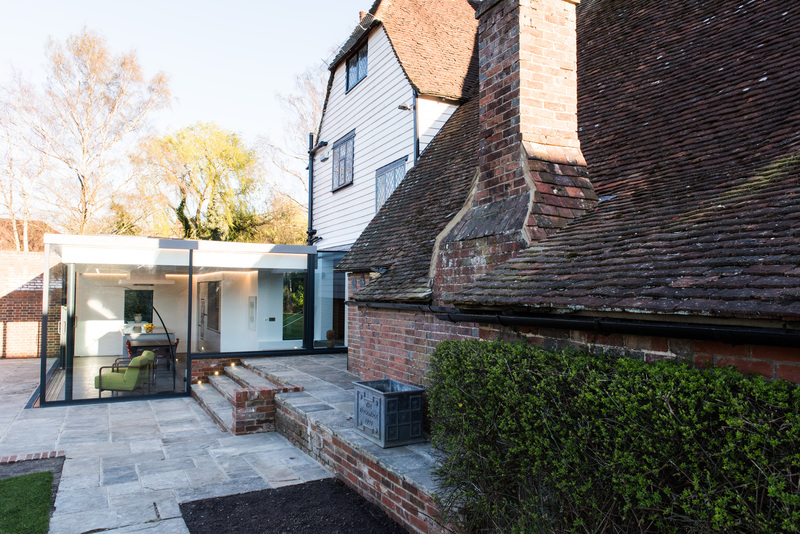 The link through from the existing building is in an area where previous work had been undertaken. 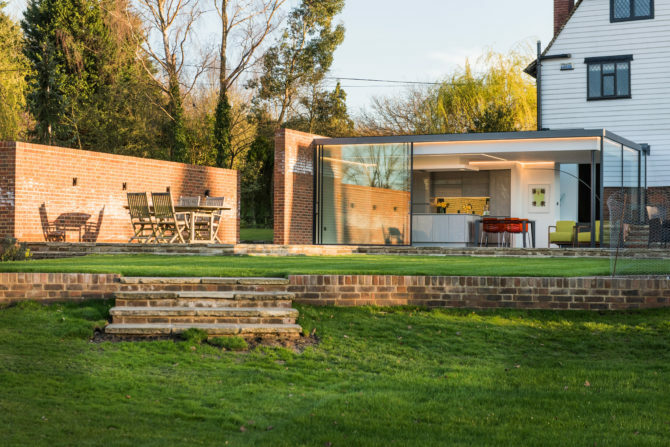 This was evident from the mix of brick and mortar where a former doorway had been bricked up. 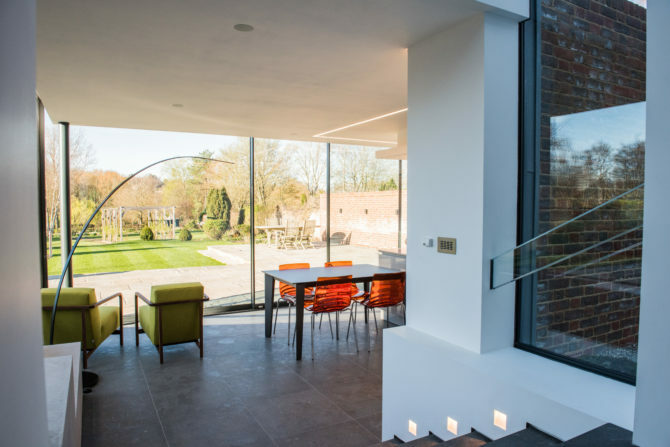 The glazed link forms a direct break between the old and the new – when walking through the link, it’s possible to look up and see the existing rear façade. 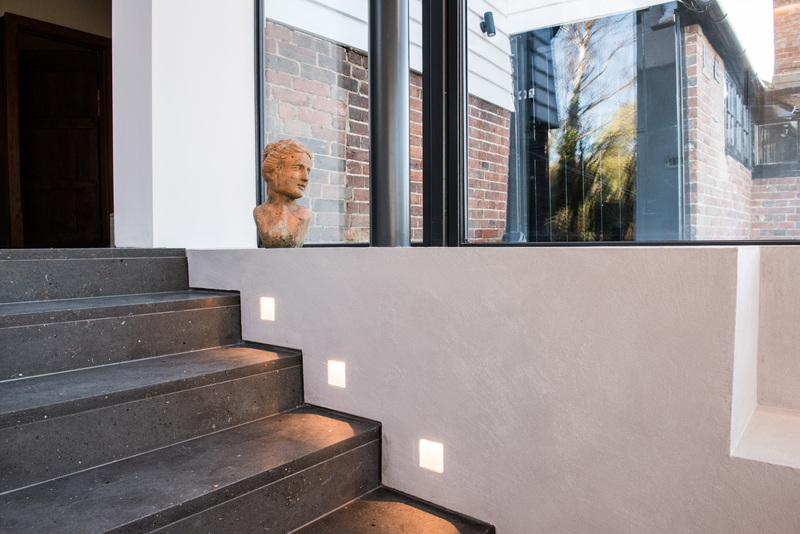 Stepping down into the new extension, the existing stone floor of what was once the kitchen meets seamlessly with new, wide limestone steps, which flow into the new limestone tiled floor. Why not check out our press coverages in the Kudos Magazine and see what our customers say about their projects we built.